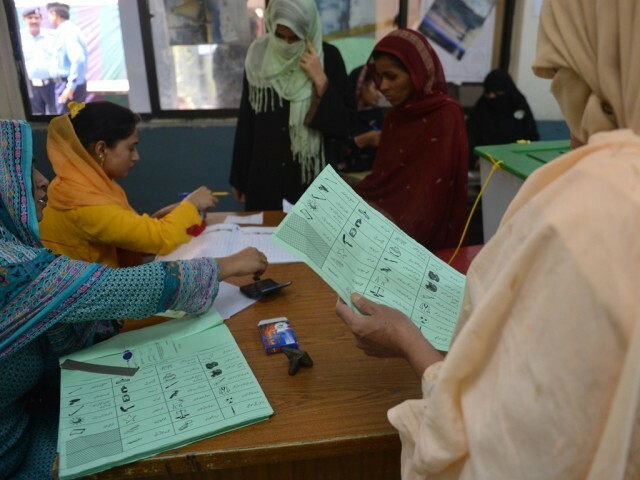 Despite threats, Pakistani women cast votes in election. 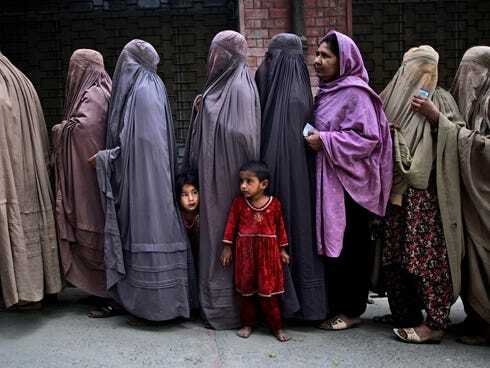 Women stopped from voting in Taliban stronghold. Taliban Stop Rural Women from Voting in Pakistan … ibtimes.co.uk Women in rural areas of Pakistan are being prevented from voting in today’s general election, according to local residents. Messages were broadcast from loudspeakers at mosques warning tribesmen in Taliban-controlled areas of North Waziristan not to allow women to leave their homes to cast their ballots. Pakistan’s game-changing election euronews.com The Taliban has threatened to target the vote. A woman working at a polling station said, “Many female staff have already refused to work because of the threats and they’re scared. I trust in Allah.” Tens of thousands of security personnel have been deployed to make sure people can vote safely. Impressive Women Turnout In Pakistan Elections 2013, Especially In … Carbonated.tv Mohmand Agency, which is a district in the Federally Administered Tribal Areas of Pakistan, is one of the most supremely conservative societies of Pakistan. This time around, the district has witnessed an impressive and a much unexpected turnout of women. 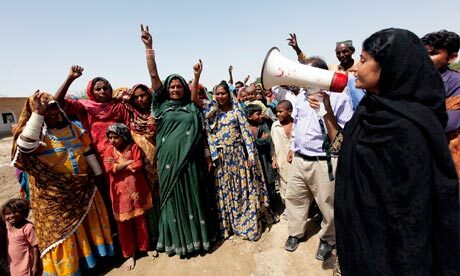 Defiant Pakistani women vote in record numbers … smh.com.au 1:30 min Women have voted in record numbers in Pakistan’s general election, many defying tradition, party orders, and Taliban threats of violence to cast a ballot. But millions still missed out. Preventing women from voting a national crime, says KP minister The News International She expressed her satisfaction at the participation of women in the elections. The minister maintained that she was feeling happy because all those women polling stations, where turnout used to be zero in the past, were having voters in large number. Women stopped from voting in Waziristan Business Recorder (blog) Women were stopped from voting in the general elections on Saturday in North Waziristan, residents said. North Waziristan is one of seven semi-autonomous districts on the rugged border with Afghanistan which are a haven for militants. Posted by Shoaib-ur-Rehman Siddiqui Business Recorder (blog) A Jirga (an assembly of tribal elders) barred women voters from exercising their right of franchise. The tribal elders who met in the Pahar Khel Thal area of Lakki Marwat gave their verdict against women’s casting votes after nightlong deliberations here. Next postUK: Sturgeon’s benefits vow in bid to win over women to Yes camp. Moms Using Games to Educate Children on Women’s Rights.